How often should you take a break from supplements? Food is our primary source of nutrition. But there are times that we fail to attain our daily baseline targets for one reason or the other. Supplements help cover these nutritional shortfalls. Supplements include vitamins, minerals and other substances that have been manufactured to provide us with the nutrients needed to support our health and fitness programs. 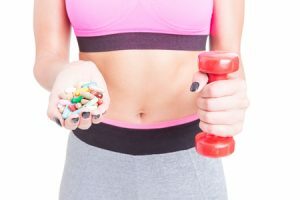 It has become a billion dollar industry as more and more people worldwide have resorted to supplements as a way to get healthy. And while supplements do provide health benefits, can become counter-productive if used without proper discretion. Always approach supplements with caution. First, get a medical check up to make sure you are not allergic to any of the ingredients listed in the supplement. Second, only buy supplements from reputable manufacturers. Take the time to research online or ask advice from people who are knowledgeable in the industry. The third tip would be to follow the directions on the label. And while you should take the supplement as recommended, there is one area which must be taken into serious consideration: when to cycle off supplements. If you read the labels carefully, most of these manufacturers would state that you can safely take their product year-round. 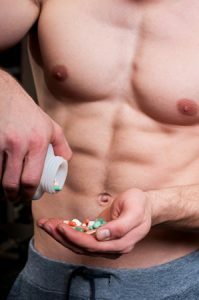 When it comes to supplements, it would be better to err on the side of caution and take the opposite route. Cycle off the supplement every 4-8 weeks or once you have finished the entire container whichever comes first. “Cycling off” means to discontinue the use of the supplement for a period of time, usually 4 weeks. Telling someone who is deep into his or her fitness program to cycle off a supplement can be a challenge in itself. Many believe cycling off the supplement will derail their progress; make them weak or decrease energy output. There are supplements designed to generate greater energy and focus such as pre-workout drinks but for the most part, these fears are just psychological in nature. If you want to maximise the benefits of supplements for your health and performance, you should cycle off them. 1. Supplements are exactly that. They are not intended to replace whole food but supplement it. Your primary source of nutrition must always be whole food produced by organic or natural farming methods. 2. Supplements, even those that provide substances not produced by the human body, are not magic formulas. 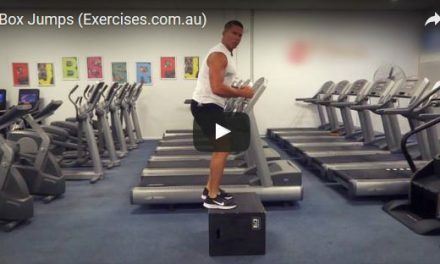 If you want to improve and get better, you should still put in time and effort in your training. 3. Read the label of your supplement. Many of these include artificial ingredients such as sweeteners, flavours and colours. Anything that says “artificial” is not natural and will be toxic to your body over the long run. 4. Overuse of supplements can lead to dependency. It creates a psychological need to have the supplement as a prerequisite for a productive workout. When this happens, the supplement will become a crutch to your progress. 5. Supplements such as amino acids, creatine and beta alanine work by attaching itself to receptor cells in the body. If you keep flooding these cells, it will eventually lead to receptor cell burnout and desensitise it. Your intake of supplements becomes a matter of diminishing returns. Are there supplements you can take year-round? Yes. Vitamins and minerals are generally safe to take 365 days a year but again, read the label. There are manufacturers of organic and natural supplements. One such supplement is Yellow Maca Powder which is made from organic Peruvian Maca root. Maca powder has been shown by studies to have the abilities to provide energy, enhance strength, builds up your immune system, increase testosterone production and your libido. Maca is used on smoothies and as a topping on yogurt or oatmeal. Supplements should be part of your health and fitness program. But remember that too much of a good thing can be bad for you. Cycle off supplements and you will be able to optimise its benefits for your health and body.